Lucy Brennan shakes up the cocktail world with more than 60 refreshing drinks brimming with exotic combinations of ripened fruits, herbs, flavorings, and spirits. Guava Cosmos, a martini as smooth as James Bond, a frosty bowl of passion fruit-infused citrus punch . 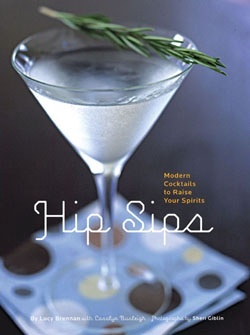 . . Add a few recipes for fruit purées and infused vodkas, the author's signature garnishes (like lollipop rims, citrus twists, and berry picks), and a waterproof clear vinyl jacket, and this handy little book will turn the home bar into a hip and happening hotspot.